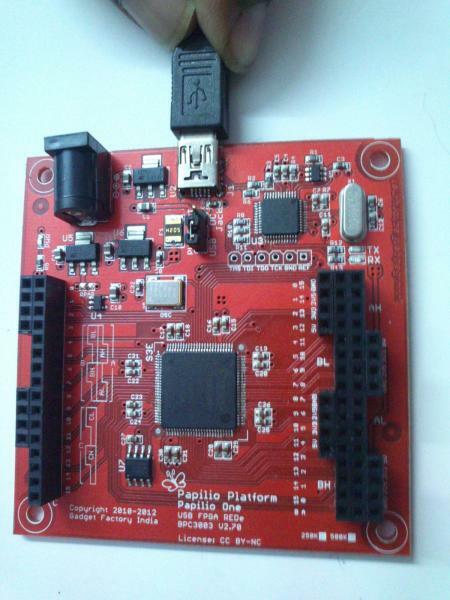 I bought a new Papilio One board (V2.7) from Gadget factory India website. Received the item really fast. Thanks for the prompt shipment. I installed the latest Windows 7 FTDI drivers (CDM 2.08.28) from their website. Also the papilio loader was downloaded and installed. But the papilio board is not recognized by the PC. Also no LEDs are blinking in the board. I tried with different USB ports of the PC. The Powerselect jumper is positioned for "USB" power. Even the "Detected a new hardware" dialog that should appear for any new device is not popping up. Please help with the issue. Also, the board I received does not contain the VCCO jumper as specified in your documentations. Kindly clarify. Does the power led light up when you connect the USB cable ? Would you be kind enough to take a a photo of the board and post here ? (the best resolution you can). The POWER LED is not lighting up when I connect the USB cable. I tried with an External DC source (12V) and POWERSELECT jumper to the "DC jack"position, then the POWER LED is lighting up. But still the board is not recognized by PC. I am uploading one photo of the board also here. Please go through the photo. The RPAR resistor is not wired in the board, as you can see from the photo. Does this has some thing to do with the problem? The v2.70 does not contain the VCCIO select jumper because 2.5V and 1.2V are almost never used for IO. The VCCIO is fixed to 3.3V and a resettable fuse is added to the board. There are a few other minor changes to the board. I would suggest using a lower voltage for external supply, around 6~9V since the regulator used is a linear regulator and they tend to dissipate heat in direct proportion to the input-output differential. The boards are tested before shipping and are programmed with LED/Button test sketch, that flashes the 4 LEDs one by one and reports status of all 4 switches via serial link, for all 6 of the 8-bit IO ports. The LED/button wing can be installed on any 8-bit slot and the output checked with a terminal. Please try a different USB cable (a standard mini-USB cable you can get at any mobile shop), it may be possible that the cable is faulty. If the board is still not detected with a different cable, please return the board for replacement. Just a silly question, what is the difference between the v2.04 bards that I got from GadgetFactory (And it looks like Seeed have them also), compared to the v2.7 boards? 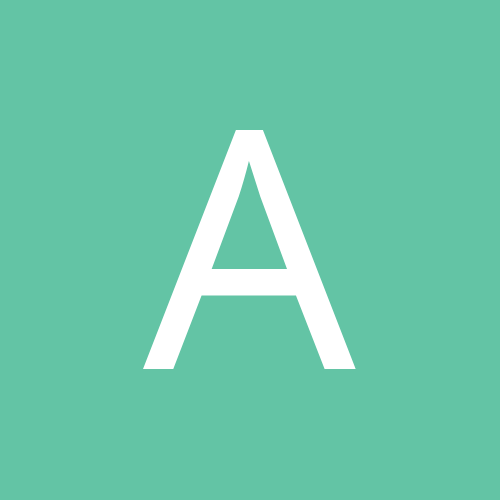 v2.7 is a modification for the Indian market, and manufactured in India, there is different part availability and pricing out there that prompted Girish to do an update. At this point there are no plans to change the Papilio One v2.04 design, it is the most efficient design for manufacture in China and the US. Aha!, almost like the red Raspberry Pi's then. Well, part availability, manufacturing constraints (most PCB fabs here don't work below 8mils and 0.5mm drills), and catering to mostly student audience (DIY enthusiasts are practically zero here) are some factors that lead to Indian adaptation. Besides,costs of importing the finished boards are already prohibitive with the customs, octroi and local taxes. Jack updates second digit of minor version number while I change just the first digit for committed design, with second digit for short run of an intermediate update. Actually US version 2.04 and Indian 2.55 are practically the same. The Indian version comes with mounting holes and socket headers pre-soldered and USB cable included. V2.70 has a two of the major changes that Jack was probably planning - removing the VCCIO jumper block and adding a poly fuse. Since the board layout was done for simplicity, it does not group the IO banks separately, and there is no point in changing VCCIO for all 48 IOs. It was a bit confusing and would not work anyway for any voltages other than 3.3V. Second is addition of a resettable polyfuse, that can use the space vacated by the jumper block. Third change that would come in handy is routing of port E and F traces. There are 6 matched pairs of traces (if you can see on the lower left part of the board) that support differential pairs on the FPGA. We do not yet have any wing that uses differential signals, but now it is possible to consider one. The Indian version of the PapilioPro will also have some changes, primarily to retain the BOM of the PapilioOne and reduce inventory, assist in local manufacturing and some changes to the BOM to reduce cost. These may reflect in later version of US PapilioPro. Oh, the mounting holes, I think that is the only thing i lack on the papilio one that I have, but i managed to use the wing holes instead. That worked . I just changed the USB cable cable and now the board is detected. Thanks for the great suggestion. I never thought the new cable will be faulty.. Thank you very much to everybody who helped..
Glad it worked. I guess the cables should also be tested before shipping!